them specific, practical advice for how to change. 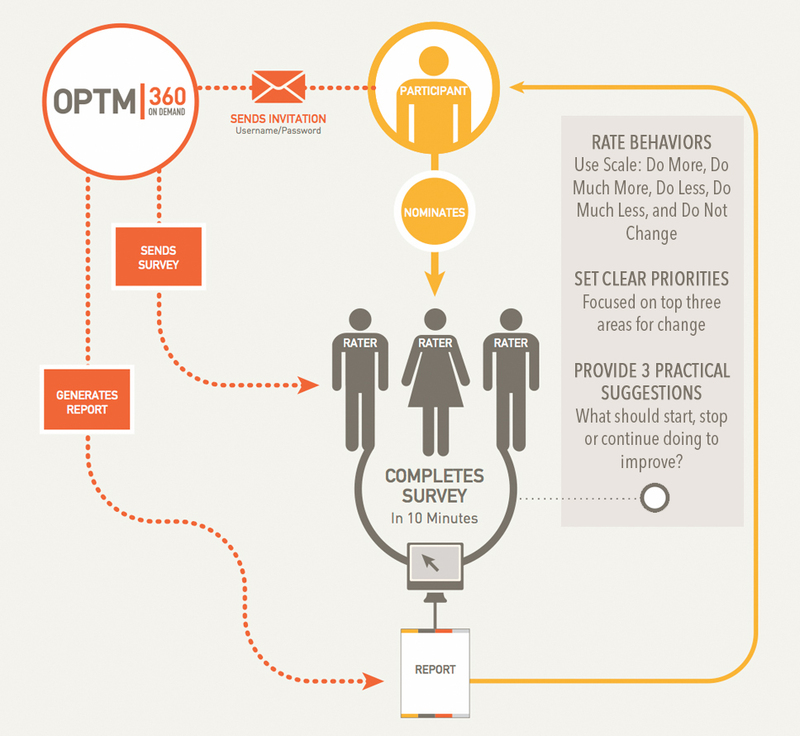 The OPTM360 participant receives a focused, easy-to-understand report, and their raters spend less than 10 minutes completing the survey. Typical 360s often fail because their design ignores these three powerful scientific facts (and a few others!). Ironically, these 360s actually create resistance to change rather than helping leaders to change. The OPTM360's design is guided by the science. Our report provides direction and advice for change in a way that leaders can quickly understand, internalize and put into practice. We avoid anything that may raise barriers to change or delay a leader from taking action. Leaders don't need to reference a website, a thick book of generic suggestions or the other change-blocking tools that accompany a typical 360. All the information they require is in their succinct report.